Court believes publicity made TLP a phenomenon, Pemra didn't fulfil duties, and politicking undermines army's integrity. The Supreme Court on Wednesday issued a strongly-worded judgement in the 2017 Faizabad sit-in case, in which it observed lapses on the part of the government, media, the Pakistan Electronic Media Regulatory Authority, intelligence agencies, the armed forces, and the Election Commission of Pakistan. The leaders of the dharna intimidated, hurled threats, abused, provoked and promoted hatred. The media provided unabated coverage to TLP. Anyone having a grouse against the government joined in. The report submitted by Inter-Services Intelligence (ISI) under the title 'Public Support' and subtitle 'Political Parties/Personalities' listed the following: 1) Sheikh Rasheed Ahmed (Chairman AML), 2) Ejaz-ul-Haq (PML-Z), 3) PTI Ulema Wing Islamabad released audio message, 4) Sheikh Hameed (PPP). Inflammatory speeches were delivered by irresponsible politicians. Some unscrupulous talk-show hosts incited and provoked citizens. The free publicity made TLP, a little known political party, into a phenomenon. 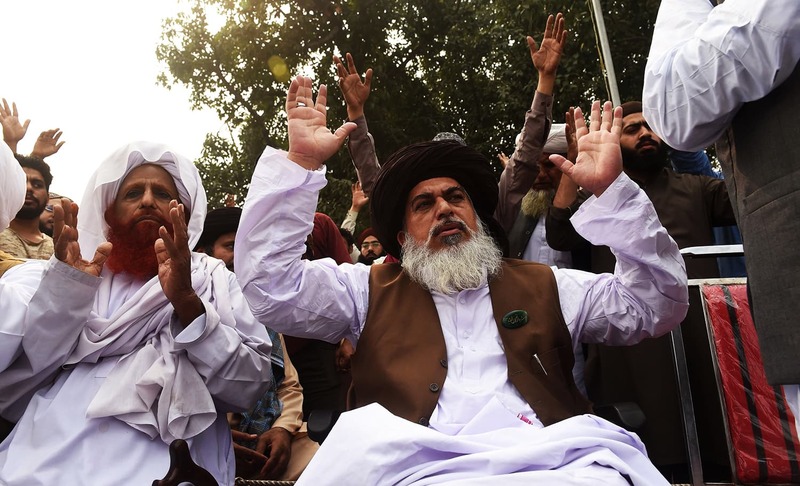 Basking in the limelight, TLP’s leadership became ever more intransigent, abusive and aggressive. With each passing day, as they grew in strength and number they became delusional and alleged that people would be rendered objects of Divine displeasure (which is a criminal offence) unless they followed the chosen path of the TLP. Protests turned violent and spread to other cities. As per the unanimous view of all the intelligence agencies, TLP wanted to maximise political mileage for itself. The ambitious leadership of a fledgling political party projected itself as the defender of the Muslim faith. They provoked religious sentiment, stoked the flames of hatred, abused, resorted to violence and destroyed property worth Rs163.95 million. 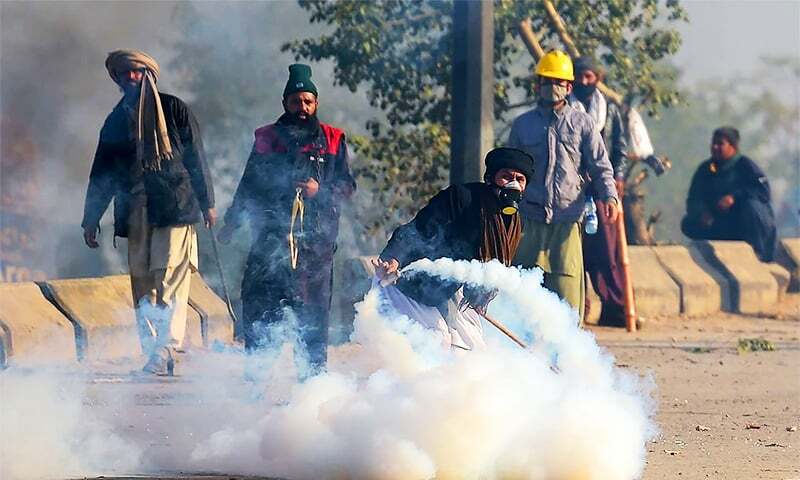 The report submitted by the Ministry of Interior [...] also disclosed that the requisite permission to take out a rally or to stage a sit-in (dharna) was not obtained by the TLP and that TLP’s leadership repeatedly broke their promise to relocate to the designated protest areas, namely, Democracy Park and the Speech Corner. The report of the Inspector General of Police Islamabad (IGP Islamabad) corresponds with the reports of the Intelligence Bureau (IB) and the Ministry of Interior, and highlighted the illegal actions of the protesters, including causing the death of a seriously ill eight-year-old child. The ISI report did not negate the reports submitted by IB, Ministry of interior and IGP Islamabad. Abusing, threatening and attacking people undermines their right to live a life of "dignity" (guaranteed under Article 14 (1) of the Constitution) which requires enforcement. When shops and businesses are forced to shut, when people cannot pursue their vocation, when poor daily workers are denied the possibility of earning a livelihood their right to work (guaranteed by Article 18 of the Constitution) requires enforcement. When property is damaged or destroyed, the right to hold and enjoy property (guaranteed under Article 23 of the Constitution) requires enforcement. The right of assembly, the freedom of association and the freedom of speech cannot be exercised by infringing the fundamental rights of others. Without obtaining permission public meetings cannot be held on roads. Nor can a road be used as a camping ground or to assemble on it indefinitely. Roads are for vehicular use and pavements are for the use of pedestrians to enable the travelling public to move freely, which is their fundamental right. TLP’s leadership created hatred amongst the people, they abused, threatened and advocated violence; and this was broadcast by some private television channels. ISI’s report identified Channel 92 as a television channel supporting TLP and stated that its owners had supplied food to the protesters occupying the Faizabad Interchange. Pemra, however, did not take action under the Pemra Ordinance against any of its licencees for violating the terms of their licences. Pemra abdicated its statutory duty, a duty which it was legally obliged to fulfil. Pemra also failed to protect the legitimate rights of its licensed broadcasters. Broadcasts by Dawn and Geo television channels were stopped/interrupted; complaints stating this were acknowledged by Pemra. Dawn and Geo were particularly targeted in the Cantonment and Defence Housing Authority areas of the country, which too was confirmed by Pemra. But, sadly, Pemra looked the other way. It did nothing to protect the interests of its licencees nor took action against those cable operators who were responsible. On March 19, 2018 and on April 24, 2018, information was sought from Pemra as to who was responsible, but Pemra professed ignorance. The Council of Pakistan Newspaper Editors (CPNE) has alleged "media repression", "that editors and journalists are forced to self-censor their work amid pressure from certain quarters" and it "appealed to all state and non-state actors to refrain from such unconstitutional practices". It seems that Dawn, the oldest English language newspaper of the country, which was founded by Quaid-i-Azam Muhammad Ali Jinnah, was targeted the most. Overt and covert censorship is unconstitutional and illegal. Nebulous tactics, such as issuing advice to self-censor, to suppress independent viewpoints, to project prescribed ones, to direct who should be hired or fired by media organisations is also illegal. No one, including any government, department or intelligence agency can curtail the fundamental right of freedom of speech, expression and press beyond the parameters mentioned in Article 19 of the Constitution. Those who resort to such tactics under the mistaken belief that they serve some higher goal delude themselves. Pursuant to the judgement in Air Marshal Asghar Khan’s case the involvement of ISI and of the members of the armed forces in politics, media and other "unlawful activities" should have stopped. Instead when TLP’s dharna participants received cash handouts from men in uniform, the perception of their involvement gained traction. The Director General of the Inter-Services Public Relations (ISPR) has also taken to commenting on political matters: "History will prove the 2018 general elections were transparent." The armed forces, and all agencies manned by the personnel of the armed forces, including ISI, Military Intelligence (MI) and ISPR serve Pakistan, and thus all its citizens. They must never be perceived to support a particular political party, faction or politician. If any personnel of the armed forces indulges in any form of politicking or tries to manipulate the media he undermines the integrity and professionalism of the armed forces. The report submitted by ISI did not disclose the "source of livelihood, place of work, address, funding of their organisations, et cetera" of the TLP leadership. Subsequently, we had inquired whether they paid income tax or had bank accounts. ISI responded by stating that it did not have the mandate to gather such information and therefore was unable to provide answers to our queries. The learned AGP was thus asked to inform us about the law/rules/regulations governing ISI and its mandate. The learned AGP tendered a document (in a sealed envelope) which spelled out ISI’s mandate, but requested that the mandate of ISI should not be disclosed. He did not give any reason for such secrecy except that this was also the practice in other countries but did not cite the example of a single one. We are disappointed in the manner in which the government handled this aspect of the case; by ignoring an issue it does not go away. 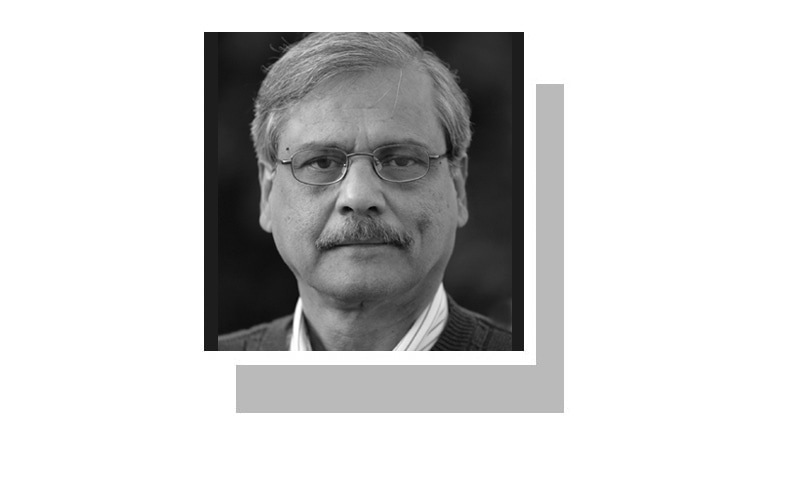 The perception that ISI may be involved in or interferes with matters with which an intelligence agency should not be concerned with, including politics, therefore was not put to rest. Article 17(3) of the Constitution requires political parties to account for the source of their funds and Section 211 of the Elections Act, 2017 demands that details of election expenses be provided. The Election Commission of Pakistan (ECP) confirmed that TLP did not account for its funds and election expenses, but, surprisingly, professes its helplessness because the law according to it is cosmetic in nature. The ECP should disabuse itself that constitutional and legal provisions are cosmetic. The responsibilities placed on the ECP by the Constitution and the law must be fulfilled, they are not optional. The Constitution also empowers the Election Commission to get requisite information from any executive authority. Read the complete verdict here. Excellent, The Supreme Court again and again confirmed that it is operating according to law. Will at least now on others followup for the benefit of poor folks? mandate of all the stake holders in governance should be worked out and clear cut laws should be enacted to ensure that all the departments work under their legal jurisdiction. No more hate messages. Lets unite as a true believers of faith promoting brotherhood, tolerance and unity. A good analysis. I learned something. A bit late... but thats how it is. I wish the Suo Moto had been taken back after the loot n plunder of 27th Dec. 2007 and after the burning of Jodia Bazar and other Old Karachi shops and then there always are naraz nationalists allowed to keep innocent public hostage at their agenda. No one can claim love for the country more than a soldier who takes solemn oath to live and die for the land he belongs ,any where he is ordered. And this mandate of a soldier is supreme and supersedes all others.And this is not unique to Pakistan. And no propaganda can undermine soldier's resolve to continue serving his motherland . This is how the TLP waste their time on earth? Once again Dawn has won ! TLP was created/used and employed for some political purposes but when those aims/goals were achieved, then no point of its existence remained for those who are the real planners of Pakistani politics. 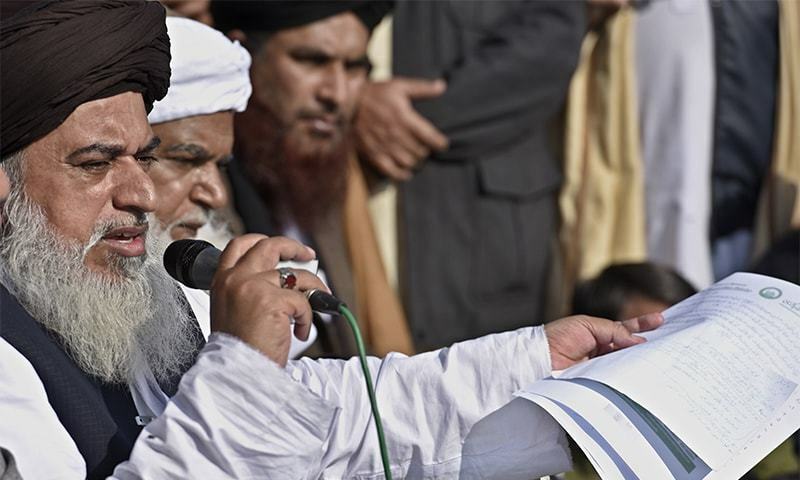 Rizvi is a hatemonger and his credentials are apt to lead TTP! I hope this thug is not released any time soon! Bravo!! Pakistan may actually turn the corner, away from the abyss!! And the truth, when you are able to discern it, will set you free! WOW!!! Finally there is hope for Pakistan. It seems our judges are the saviors of Pakistan. "The media provided unabated coverage to TLP" This is the best observation by the court. Has any one been punished for the loss of property and life? We need more judges with balanced outlook like that of Justice Qazi Faez Isa. The Supreme Court by its decision has made the nation proud of it. It’s a great consolation that we have such devoted and fearless sons of the soil in the higher judiciary. Keep it up, sir, you are our great hope. @Razaq but this serving of motherland does not include infringing power of other institutions.Nowhere is this abomination tolerated except in Pakistan that an unelected body is let to govern overtly or covertly without any accountability. Will the detail judgement of the apex court also punish the defaulters in the case and the others who take law in their own hand.This is a million dollar question. Generally we the nation do not care about our rights, we like to be controlled by stick. Appreciate the verdict by SC atleast they care a little bit for us.